Every few weeks, it seems like some new corporate giant is stepping into the realm of drone delivery. In the past we’ve written about Amazon, Uber, Airbus, Aha.is, DHL Express, and many more. It’s gotten to the point where those in the know can track a recognizable pattern: massive tech company announces an extremely ambitious drone delivery program with an impossible deadline, begins production, realizes drone delivery is a more difficult problem than they realized and that it’s too dependent on infrastructure that doesn’t yet exist in most Western countries, massive tech company quietly cancels program. So right away, when you see the headline of this article, you should know that something’s a little different. Like Amazon, UPS is an all-consuming megacorporation, but one which actually specializes in package delivery rather than computer technology. The story gets more interesting when you learn that this is the first revenue-generating drone delivery scheme in United States history that has actually been sanctioned by the FAA. 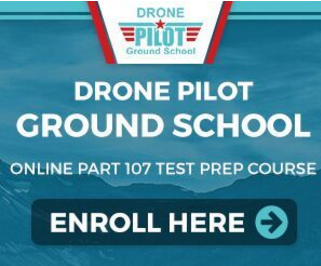 Specifically, the project is part of FAA’s Unmanned Aircraft System Integration Pilot Program, a three-year project which was created to test the possibility of safe integration of drone technologies into commercial airspace. 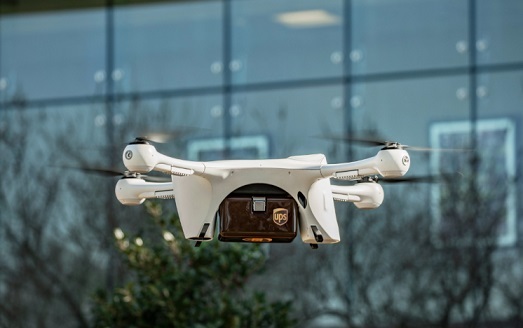 The project itself is actually a partnership between UPS, which is providing the capital and in-depth industry knowledge, and autonomous drone technology firm Matternet, which is providing the technology. The service? Blood sample delivery – and nothing more – to take place across North Carolina. And the rollout date? Uh, last Tuesday, when the service ran its first flight at North Carolina–based WakeMed’s hospital in Raleigh. The drone being used in this first test is a Matternet M2 quadcopter which measures about 2 feet by 2 feet square and which can carry a 5 pound payload for 12.5 miles on each battery charge. The first drones will be running about 10 flights a day at first, a number which may increase if the service (pun intended) takes off. The flight from the blood bank to the WakeMed only takes the M2 about 3 minutes, even though the same commute takes a driver about 30 minutes by car. At this point, it’s very easy to be cynical about any drone delivery scheme you read about in the news. But there’s some serious expertise behind this particular project. 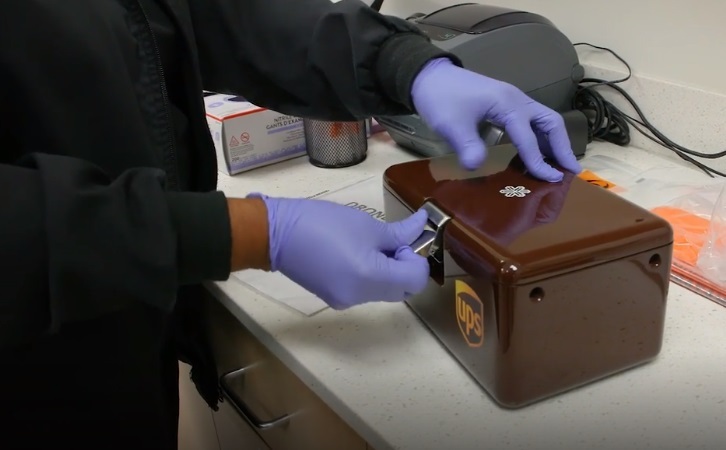 UPS already has a health care division that specializes in medical deliveries, one which used drones to deliver blood products to remote locations in Rwanda back in 2016. And Matternet has already performed more than 3,000 blood deliveries via drone in Switzerland. Plus, in addition to being a useful task that benefits society, blood and tissue delivery involves cargo that is extremely lightweight and compact. It can be carried in a custom container that UPS has already developed. 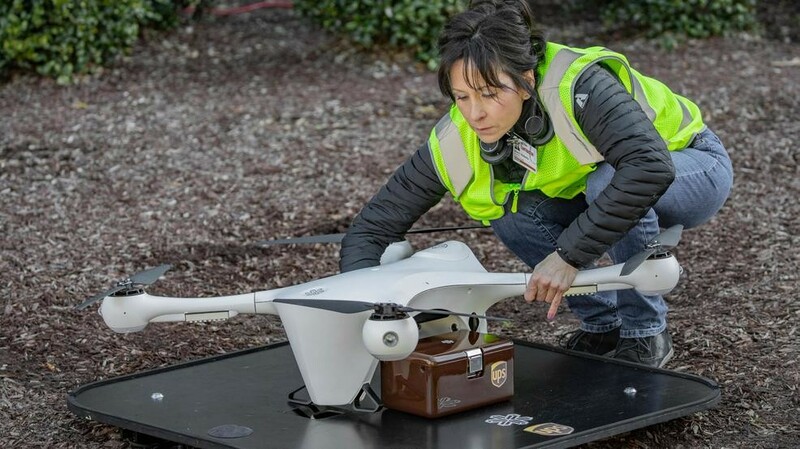 This is crucial because it allows the companies involved to focus on the delivery processes and mechanisms – the all-important infrastructure we always talk about whenever drone delivery’s on the table – rather than trying to manage unwieldy payloads. Well, what do you think, readers? Is this another delivery project that’s doomed to fail? Is it little more than an expensive publicity stunt? Or will the expertise and experience behind this carefully-considered project FINALLY create inroads for serious drone delivery in the United States? Sound off in the comments and let us know what you think!